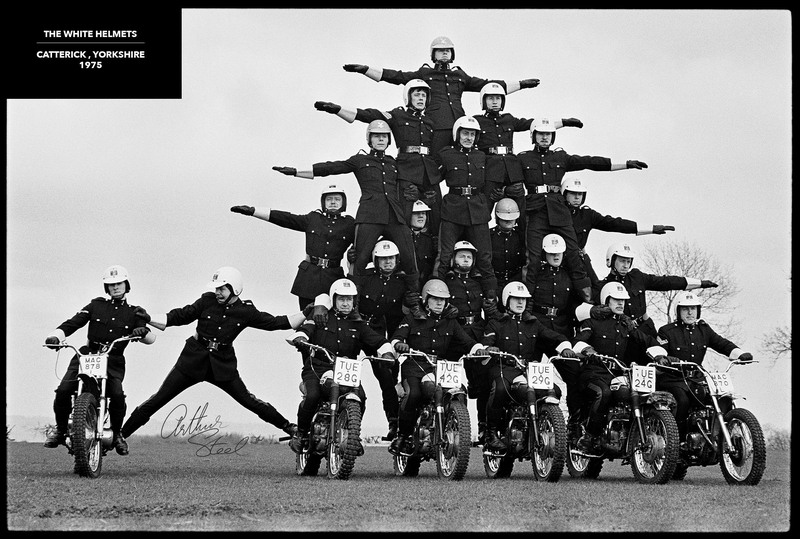 The Royal Signals Motorcycle Display Team, ‘The White Helmets’. Note: Image unearthed January 2013. Film stock: Kodak Tri-X Pan. Print Type: Fibre-based Harman Galerie FB Digital. All prints are limited editions, no further prints are produced once sold. Bespoke: All prints are bespoke and printed to order. 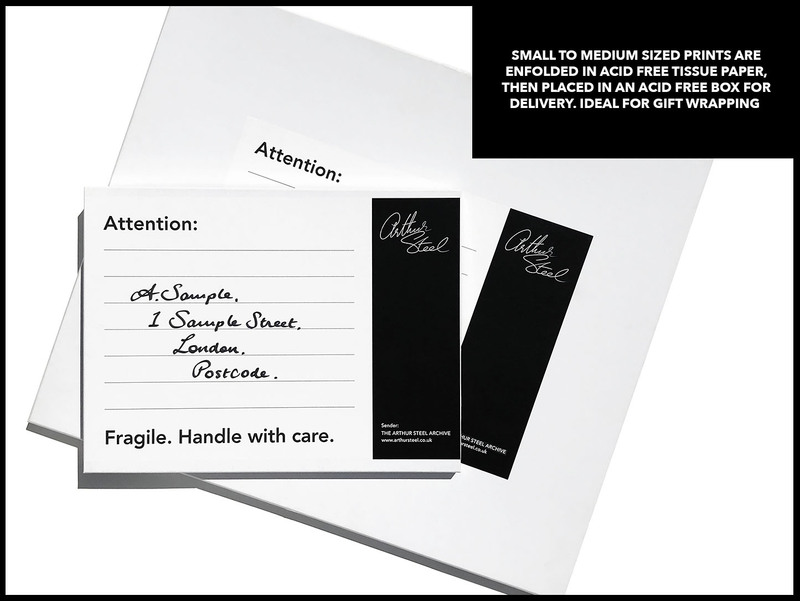 Presentation: 12 and 20 inch prints are titled, numbered, signed and carefully enfolded in acid free tissue paper, supplied flat in an acid free 4mm 3-ply box for delivery and storage purposes. The boxes are ideal for gift wrapping. 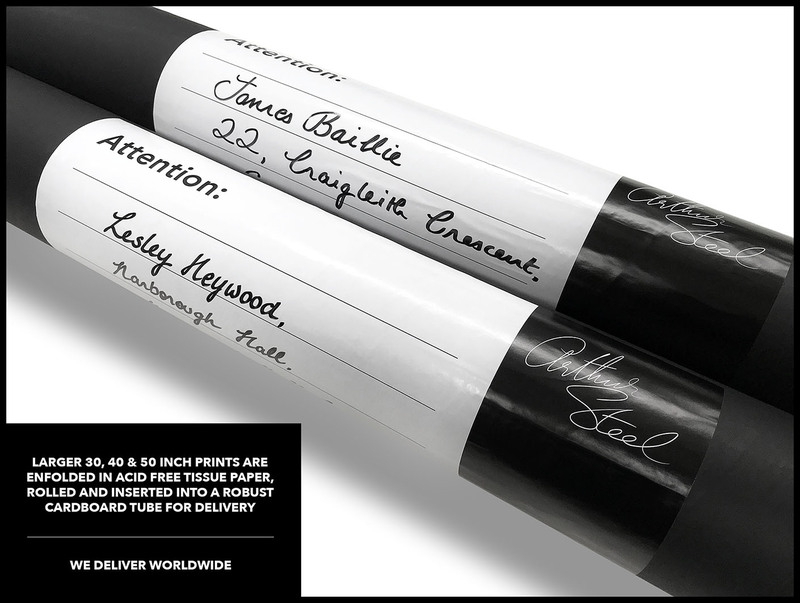 The larger 30, 40, 50 and 60 inch prints are also titled, numbered, signed and carefully enfolded in acid free tissue paper and inserted into a rigid 4mm thick protective cardboard tube for delivery. Delivery: Metro Imaging based in Central London use an experienced shipping service to deliver the boxed and rolled prints. Metro take great care in ensuring the print(s) are very well protected and efficiently delivered anywhere in the UK or overseas. Acid free tissue paper protects prints from scratching/creasing. Metro also offer a vast array of delivery options to suit the recipient’s preference. Optional Dry Mounting: Professional Dry Mounting of the larger print sizes can be arranged at an additional cost, the print would then be perfectly flat and ready for framing. However, this makes the overall size very bulky for transporting, so, it may be best for us to send a rolled print directly to your framers and let them carry out the works. You just need to make sure that they are insured as we cannot take responsibility for any damages that may occur. 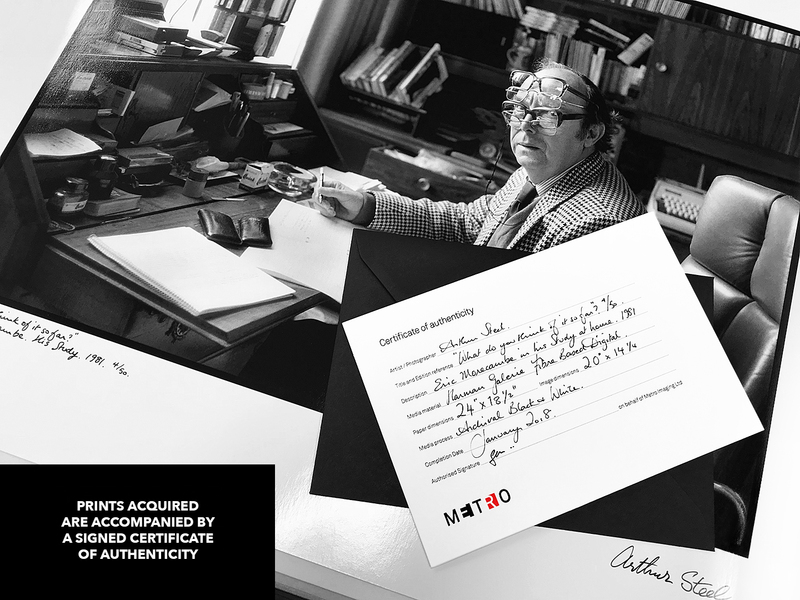 Certificate of Authenticity: Each print acquired from The Arthur Steel Archive is accompanied by an individually signed Certificate of Authenticity. 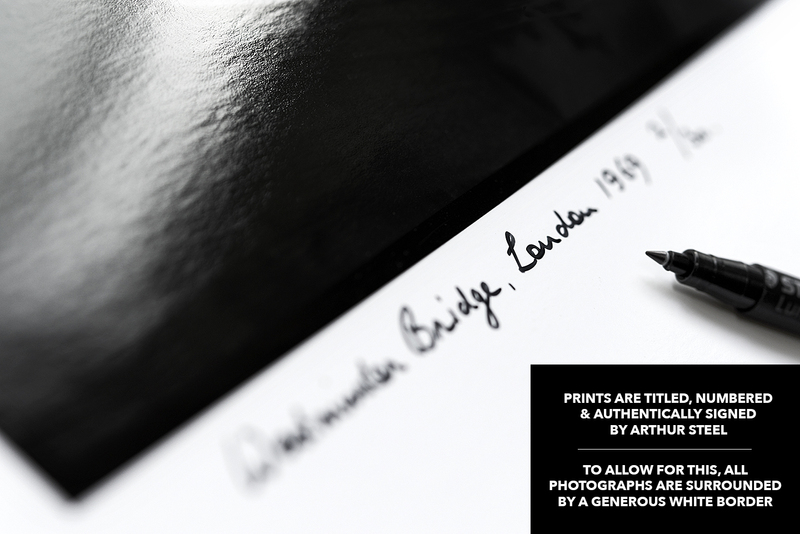 Video of Authenticity: Newly printed bespoke prints are further authenticated by way of a short personalised video. Arthur Steel mentions your name on the recording prior to signing. 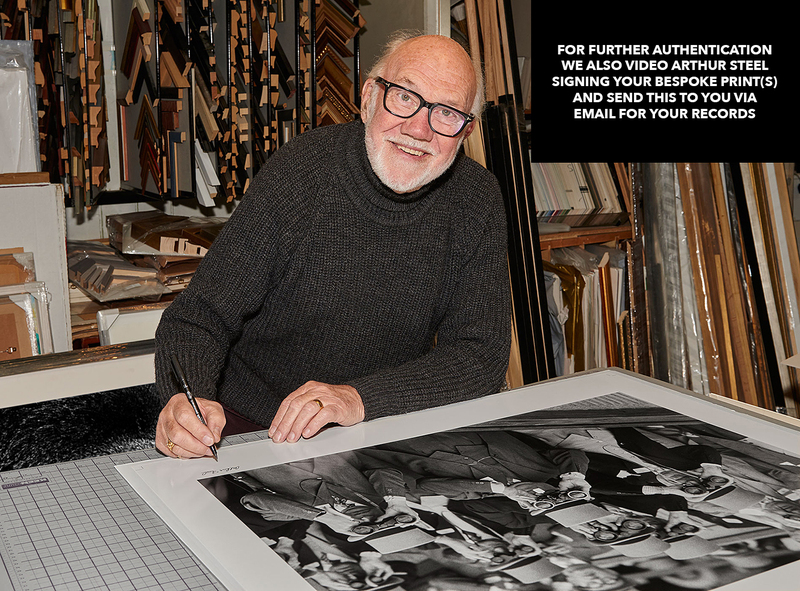 For example, Arthur will say something like: “I’m signing this print of Mick Jagger, edition number 2/20 for Mr. Smith in New York.” For your records, the footage is then sent to you via email. Watermark: Watermarks will not be present on an original print. Copyright: © Arthur Steel / The Arthur Steel Archive. Information: The White Helmets display all over the world performing a variety of tricks and rides, these include car jumps, high speed cross overs and their trademark trick the Fire Jump. The team is made up of Professional Qualified Tradesman who are soldiers from the Royal Corps of Signals. The team was formed in 1927 making it the oldest Motorcycle Display Team in the world.